An automated categorization of probes can provide assistance to medical investigators in many diagnostic settings. 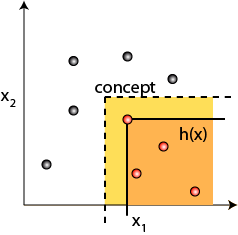 The models obtained from the training procedure of a classifier can provide insights into the structure of the data, in particular into the properties that distinguish the categories. A focus of our research lies on ensembles of single-threshold classifiers, which allow for an easy interpretation of the models. We also investigate methods to assess and compare classifier models theoretically and empirically, and to optimize classifier parameters. L. Lausser, C. Müssel, A. Melkozerov, and H. A. Kestler. Identifying predictive hubs to condense the training set of k-nearest neighbour classifiers. Computational Statistics, 29(1-2):81-95, 2014. L. Lausser, F. Schmid, M. Schmid, and H. A. Kestler. Unlabeling data can improve classification accuracy. Pattern Recognition Letters, 37:15-23, 2014. T. M. Gress, H. A. Kestler, L. Lausser, L. Fiedler, B. Sipos, C. W. Michalski, J. Werner, N. Giese, A. Scarpa, and M. Buchholz. Differentiation of multiple types of pancreatico-biliary tumors by molecular analysis of clinical specimens. J Mol Med (Berl), 2012. M. Watabe-Rudolph, Z. Song, L. Lausser, C. Schnack, Y. Begus-Nahrmann, M. Scheithauer, G. Rettinger, M. Otto, H. Tumani, D. R. Thal, J. Attems, K. A. Jellinger, H. A. Kestler, C. A. F. von Arnim, and K. L. Rudolph. Chitinase enzyme activity in CSF is a powerful biomarker of alzheimer disease. Neurology, 78(8):569–577, 2012. C. Müssel, L. Lausser, M. Maucher, and H. A. Kestler. Multi-Objective parameter selection for classifiers. Journal of Statistical Software, 46(5):1–27, 2012. L.-H. Meyer, S. M. Eckhoff, M. Queudeville, J. M. Kraus, M. Giordan, J. Stursberg, A. Zangrando, E. Vendramini, A. Moericke, M. Zimmermann, A. Schrauder, G. Lahr, K. Holzmann, M. Schrappe, G. Basso, K. Stahnke, H. A. Kestler, G. te Kronnie, and K.-M. Debatin. Early Relapse in Pediatric ALL is identified by Time To Leukemia in NOD/SCID mice and is characterized by a gene signature involving survival pathways. Cancer Cell, 19(2):206–217, 2011. M. Buchholz, H. A. Kestler, A. Bauer, W. Böck, B. Rau, G. Leder, W. Kratzer, M. Bommer, A. Scarpa, M. K. Schilling, G. Adler, J. D. Hoheisel, and T. M. Gress. Specialized DNA arrays for the differentiation of pancreatic tumors. Clin Cancer Res, 11(22):8048–54, 2005.